The University of Adelaide is seeking to appoint an outstanding individual at Professorial level to the position of Chair of BioPhotonics within the ARC Centre of Excellence for Nanoscale BioPhotonics. The Centre (2014-2021) is a $38 million collaboration between the University of Adelaide, Macquarie University and RMIT University in partnership with 11 other international institutions. The mission of the Centre is to discover new approaches to the measurement of nano-scale dynamic phenomena in living systems. CNBP researchers are driving the development of new devices to measure and sense at a nanoscale level – providing new ways of understanding cellular processes within the human body. The Centre brings together expertise in physics, material science, chemistry, biochemistry, embryology, neuroscience and cardiovascular science – to work in a truly transdisciplinary environment. The CNBP is seeking a Chair of BioPhotonics to join the team to lead the BioPhotonics portion of Centre activities. In addition the successful candidate will be offered a leadership role in the Biological Sensing and Medical Diagnostics theme of the Institute for Photonics and Advanced Sensing. An outstanding international research record in a field relevant to BioPhotonics, as evidenced by publications, citations, competitive grant success and recognition by the international/national science communities. Experience in the translation of BioPhotonics to biological applications in a transdisciplinary environment. Demonstrated proven record of building and leading effective research teams, working collaboratively across sectors and disciplines. Demonstrated ability to provide leadership in a research organisation. The Chair of BioPhotonics is a tenurable Professorial position with a generous start up package. Please address and upload your responses to the full list of selection criteria. If you have any queries regarding this position, please contact Prof Mark Hutchinson, Director, CNBP; telephone: +61 8 8313 0322 or email: mark.hutchinson@adelaide.edu.au. Further information, position description and selection criteria. Dr Lee Arnold from the Centro Nacional de Investigación sobre la Evolución Humana (CENIEH), Burgos, Spain, has been awarded an ARC future fellowship “Trying times: Millennial to million year luminescence chronologies for improved reconstructions of Australian megafaunal extinctions” of $755k to extend the work of IPAS’s Environmental Luminescence Laboratory. Prof Nigel Spooner met Lee after traveling to Europe in search of bright up-and-coming scientists. This fellowship is a significant boost for our Chemical and Radiation Theme. Are you interested in developing new nanoscale lasers or photon-based sensing architectures capable of probing the working of cells? 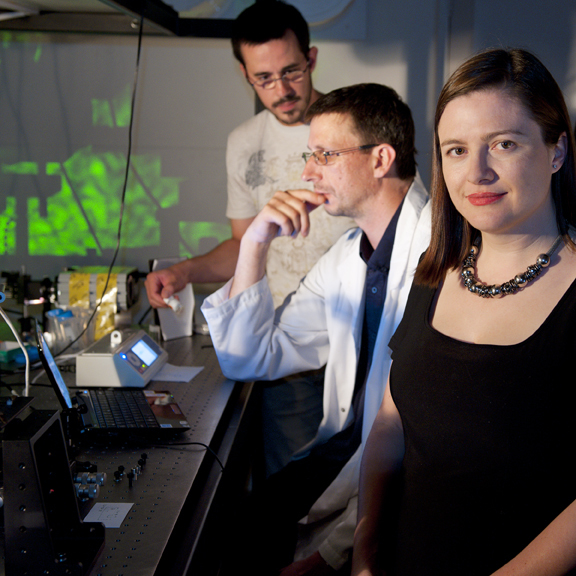 Prof Tanya Monro was recently awarded an ARC Laureate Fellowship focussed on generating and controlling photons on the sub-wavelength scale as a foundation for light–matter interactions at sub-cellular scales. We are seeking a PhD qualified postdoctoral researcher with a background in optical physics, surface science and/or nanoscience to drive the development of the new technologies. There are also two dedicated PhD scholarships available on a competitive basis to highly motivated students to work on projects within this exciting research program. The Precision Measurement group at IPAS, through the School of Chemistry & Physics, has recently secured funding from the Australian Research Council (ARC) for the development of a high performance clock facility to disseminate a precise timing reference to all labs both to provide an ultra-stable reference time scale to all measurements as well as develop applications in low noise radar and VLBI radio-astronomy. We are seeking a postdoctoral researcher with a background in physics or engineering to assist in the development of the facility and the dissemination and synchronization of the signals generated. The ability to conduct independent research and to work effectively as a member of a research team. Good verbal and written communication skills and interpersonal skills. Research experience in one or more of the following: experimental physics or engineering discipline, resonators, oscillators, cryogenics, COMSOL, low phase noise frequency synthesis is desirable. The University of Adelaide invites applications to a tenurable position of Chair of Experimental Physics in the School of Chemistry & Physics, Faculty of Sciences. Experimental physics at Adelaide was initiated by Professor W.H. Bragg in 1886. The Chair of Experimental Physics will fall vacant on 1 January 2012. Over the past few years the School has experienced a significant growth in its undergraduate teaching load and in the number of higher degree research students. As a member of the prestigious Group of Eight Australian universities, the University of Adelaide is committed to research excellence. Research within the School involves national and international collaborations and receives extensive external funding from the State of South Australia, industry, defence, national and international sources. Physics at Adelaide has recently been given the top ranking in the Excellence in Research Australia review of research quality. Research areas in Physics include atmospheric physics, high-energy astrophysics, geophysics, medical physics, optics and photonics, particle physics, nuclear theory and computational physics. 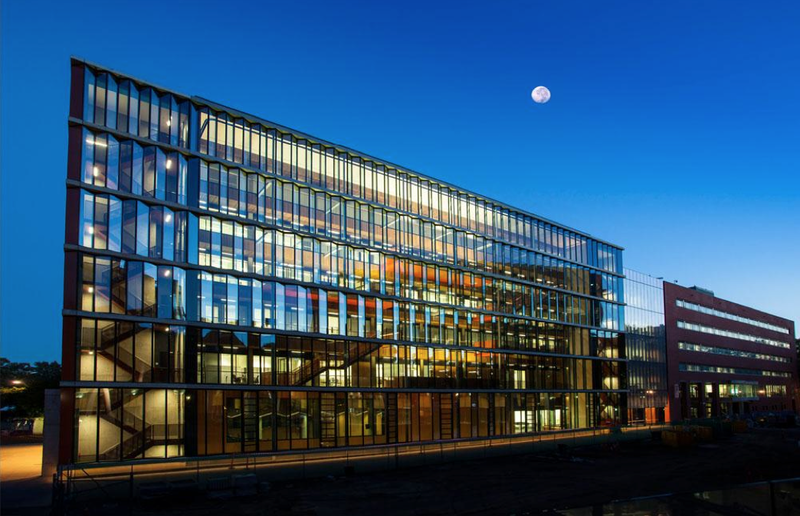 The University’s new Institute for Photonics & Advanced Sensing (IPAS) is based in the School. IPAS operates extensive facilities including infrastructure for fabricating optical materials, optical fibres, sensors and laser devices. The School also hosts a node of the new ARC Centre of Excellence in Particle Physics at the Tera-scale. We are seeking to make an appointment of a high calibre and dynamic Experimental Physicist to a tenurable professorial position. The new professor will be expected to contribute to the academic leadership of the discipline of physics, will have a particular responsibility for the teaching and championing of experimental physics at all levels, and will contribute to building significant research capacity. The new professor will have an outstanding research track record in a field of relevance to IPAS with proven expertise in one or more of the following areas: new approaches in sensing and measurement in experimental optics, photonics, nonlinear optics and/or biophysics. The successful candidate will be expected to promote and develop new research capacity and new tools for research. The new professor will also contribute to undergraduate and postgraduate teaching, the supervision of students, and professional activities of the School of Chemistry & Physics. The School is located on the vibrant city-centre campus of the University, facilitating the formation of strong collaborations with physicists, engineers, chemists, biologists, agricultural scientists and medical researchers. As the multicultural capital of South Australia enjoying a Mediterranean climate, Adelaide provides opportunities to engage in culture, entertainment and sport through more than 400 annual festivals and events. The Adelaide hills and beautiful beaches are just 20 minutes from the city centre. World-famous wine regions are a matter of 1 to 2 hours drive from Adelaide. Stunning coastal, hills and river scenery can be enjoyed on easy day trips, and Adelaide is the closest capital city to the Australian Outback. IPAS is currently advertising for the position of laboratory manager. To be successful in this role you will have experience in the commissioning and specification of new experimental research laboratories, experience in managing laboratories (including inventories and ordering), in safety management, well-developed communication and organisational skills and be willing to work in a team environment. For further information, including how to apply, please see the full job listing. Note that the closing date for applications is 27 April 2010. To be informed of oppurtunities within IPAS visit the web page and subscribe to the jobs RSS feed.